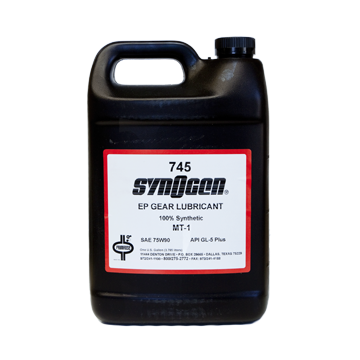 745 Syn-O-Gen - Lubrication Specialties, Inc.
745 Syn-O-Gen EP is recommended for applications where heat and wear present major problems. These applications include manual transmissions where EP type lubricants are recommended, differentials including limited slip, and transfer cases for heavy equipment, trucks, tractors and industrial gear drives. Automobiles light-duty trucks and farm machinery are other potential uses of Syn-O-Gen EP Lubricants. 745 Syn-O-Gen is compounded using a synthetic basestock which has a high viscosity index and exceptionally low pour point. 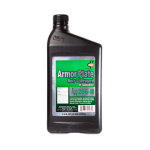 This lubricant contains extreme pressure additives, as well as rust, oxidation and corrosion inhibitors to protect gears and bearings operated under a wide variety of load conditions. The high and low temperature performance of this product greatly exceeds that of conventional SAE 80W-90 and SAE 90 hypoid gear lubricants.